Home » Technology, What would Montessori say? Is it healthy for young children? With so much technology out there, one might question it’s value for preschool age children. What would Maria Montessori have to say about young children spending so much time staring at a screen? More and more you ca witness young children staring at screens for long periods of time. Young children at the age of 2, 3 and 4 years old often talk about video games and I pads, notebooks and other forms of technology. It appears that these things have become very important part of som young children’s childhood. With so much technology out there, one might question it’s value for young preschool age children. What would Maria Montessori have to say about young children spending so much time staring at a screen? Young children at the age of 2, 3 and 4 years old, often talk about video games and I pads, notebooks and other forms of technology. It appears that these things have become very important to some young children’s childhood. As a Montessori teacher of 3-6 year old’s for 34 years, I’ve observed children spending quite a bit of time staring at a screen. There is often not much interacting with people going on, when young children spend too much of their time with technology . It raises many questions regarding it’s value for young preschool children. 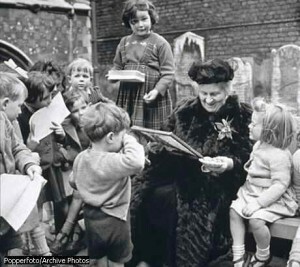 Maria Montessori was a pioneer, years ahead of her time. Her method of education focuses on the needs of the child. She felt children were to be respected as human beings, capable of extraordinary levels of learning. Her insight into child development led to learning environments with child-size tables and chairs, tools that fit the hands of growing children, and materials that appeal to the children at their current level of development. Montessori believed through education, children could become independent, responsible adults, capable of going out into the world. Montessori believed through her method of education, our society would be enhanced, therefore, creating a more enhanced World! Montessori talked about the development that takes place in the first 6 years, during which children work to create the mental structures and classifications into which to sort all the impressions that they are absorbing. Neurological research also confirms Montessori’s observation that there are different developmental stages that happen as the child grows. For preschool children, through sensory and motor skills, the neural regions most related to them, are all extremely important skills that need development at this young age. Young children’s brains needs to be absorbing how the natural world works, and adapting to human culture. Children need to learn their way first around the real world. There is no question that the great outdoors can be a veritable smorgasbord of stimuli for the five senses. Outside Children can explore different textures such as the rough pavement compared to the smoothness of a leaf. Children can listen to and identify the outdoor sounds, birds, wind, the buzzing of an insect, etc. When too much time is spent with electronics, these things begin to lack in the child’s experiences that what makes up what childhood is about. That’s what Montessori might say. With this bit of background information of the Montessori Method and child development, why would computer use be pushed at such a crucial stage for brain development? Children’s brains and intelligence could be deprived of the actual food it needs for optimal growth. Children need hands on experiences. To date, research tells us that screen time has no real benefit for infants and toddlers. For older children, the context in which they use media, the nature of the content they experience, and the amount of time they spend with screens are all important considerations. 2. For children over 3, studies show that some exposure to thoughtfully constructed media content can promote pro-social behaviors and contribute to learning, especially when a caring adult is actively involved. On the other hand, some screen content can be harmful to children. 3. Games and digital activities that limit children to a predetermined set of responses have been shown to diminish creativity. 4. Exposure to media violence is linked to aggression, desensitization to violence, and lack of empathy for victims. Media violence is also associated with poor school performance. 5. For preschoolers, watching just 20 minutes of a fast paced cartoon show, has been shown to have a negative impact on executive function skills, including attention, the ability to delay gratification, self-regulation, and problem solving. 6. Setting limits on the time young children spend with screen technologies is as important as monitoring content is for their health, development, and learning. The new technologies haven’t displaced television and video in children’s lives—they have added to screen time. 7. Extensive screen time is linked to a host of problems for children including childhood obesity, sleep disturbance, learning, attention, and social problems. Time with screens takes away from other activities known to be more beneficial to children’s growth and development. 8. Media use is beginning for some in infancy. On any given day, 36% of babies under the age of 1 are watching TV and videos for an average of about 90 minutes. Twenty-three percent of them have a television in their bedroom.Time with screens increases rapidly in the early years. Between their first and second birthday, on any given day, 64% of babies and toddlers are watching TV and videos, averaging slightly over 2 hours. There’s no question that screen technologies dominate the lives of many young children, and they have significantly altered childhood. But how do we best support young children’s health, development, and learning in a digital world? What would Maria Montessori say? She might ask parents to make thoughtful decisions about both the time children spend with screens and the content they experience. Montessori might suggest that parents would continue to provide children with what they need most—active and hands-on creative play, time in nature, and lots of quality, screen-free time with caring adults. All thing in good balance!